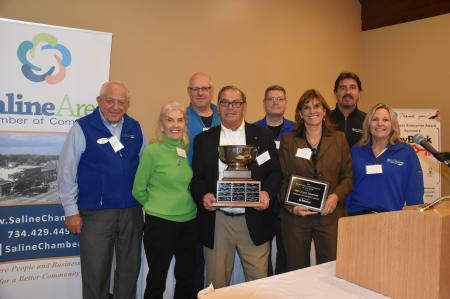 For more than 20 years the Saline Area Chamber of Commerce have hosted the Business Enterprise Awards. 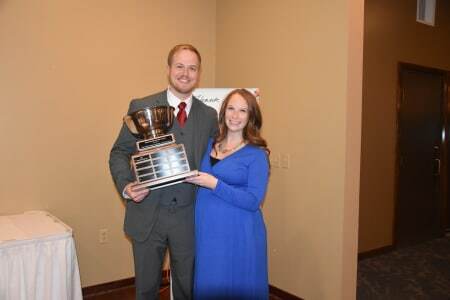 This event is considered the most prestigious honor a business in the greater Saline area can receive. The awards aim to recognize and honor successful companies that have exhibited exemplary business practices, have an excellent reputation for quality and service and are strong community participants. 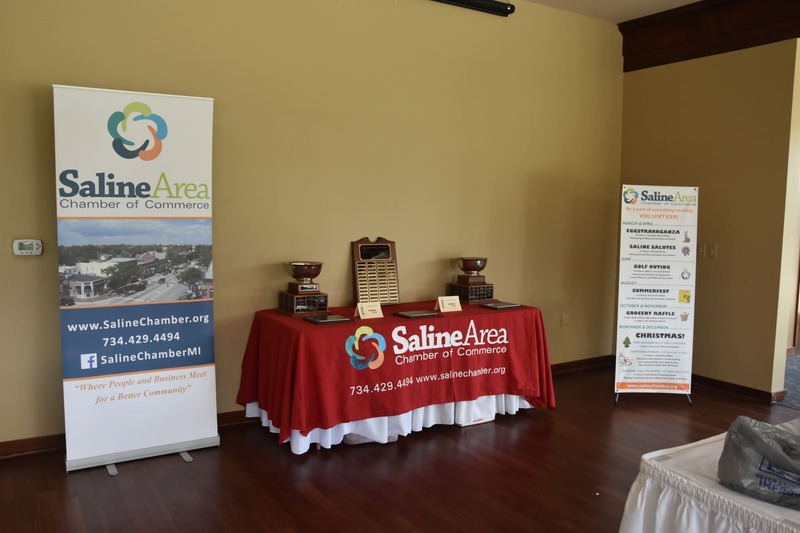 The Saline Area Chamber of Commerce accepts nominations from the entire Saline community starting in September with the SACC Board of Directors choosing the recipients. 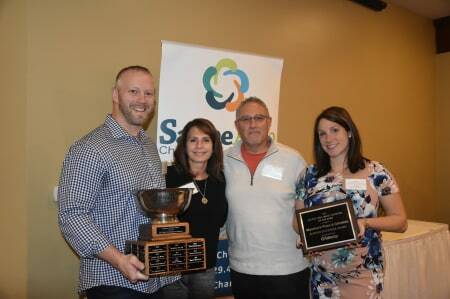 In 2018, the Saline Business Awards were awarded to Bill Crispin Chevrolet (21-or-more employees), Mancino's Pizzas & Grinders (20-or-fewer employees) and Rising Star Business went to Steadfast Chiropractic. Also, the Bill Mangold Lifetime Achievement Award went to the Julie McFarland. The major sponsor was KeyBank with additional support being provided by Costco, Saline Flowerland and Stonebridge Golf Club. For additional supporters please see below for all the businesses who were kind enough to sponsor this event. 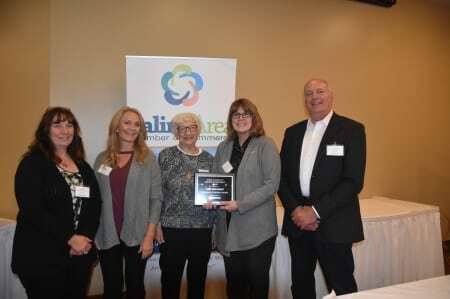 The Business Enterprise Awards are a unique opportunity to support local businesses and the Chamber as they honor the best businesses the greater Saline area has to offer. For sponsorship opportunities be sure to view the list here. Contact our office via email with any questions if you can't call or stop by to see us.